Every week I shift into balanced vibration and choose three cards that can provide guidance and hints for the upcoming week. You are welcome to pick one, two or all three cards in your mind prior to reading the messages. As you do this, clear your mind of expectations and allow your higher self to guide this experience. The purpose of Angel Card readings is to stimulate thoughts, awaken new understanding and to help you choose your direction. While we always have creative power in our experiences, the introduction of concepts can clarify our intentions. While each of us will create our own interpretations of the message, I have included both Doreen Virtue’s and my own impressions about what the card means. Doreen: Trust and follow your intuition. 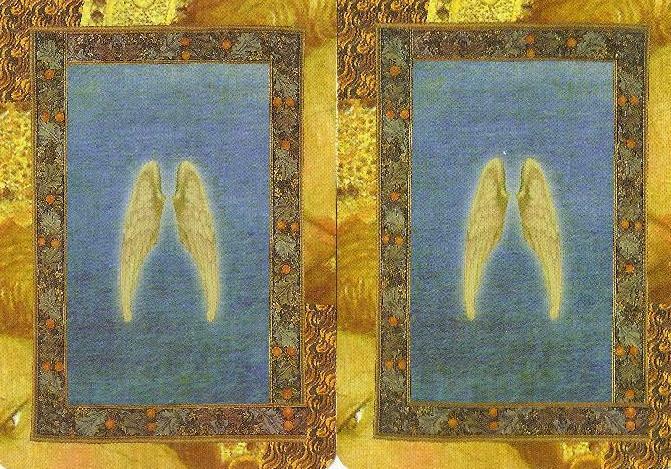 It is God and the Angels speaking to you. Glenn: What a beautiful way to start the week. There is power from a higher realm guiding you on your path. Doors will open. Synchronicities will occur. Blessings will arrive. Stay solid in your beliefs and values and keep moving forward. The path may vary from your original plans; trust that everything is fine and walk forward with joy and confidence. 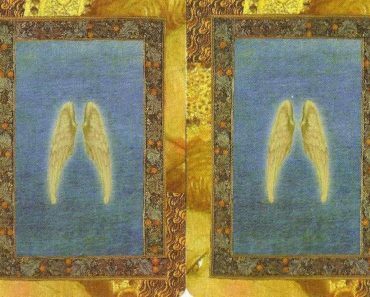 Doreen: God, the Angels and the Ascended Masters who love, protect and guide you, are watching over you right now. You are not alone and you are safe! Glenn: Consider yourself like a football quarterback. You are the one who runs the plays, but there is a team there to help you. There are blockers who help clear the way. There are runners who can carry the ball for you. There are receivers who can run downfield and catch what you throw. When you are at rest there is a strong defense protecting your interests. Focus on scoring and winning this week; you have great assistance towards achieving your goals. Doreen: You are a perfect child of God and every part of you is wonderful. Your angels guide you to let go of negative self-judgments and to enjoy being you. Glenn: You are a unique part of this universe and are here to share your special energy. Have no doubts that everything is fine. Everything is on track. No matter what you may see as personal challenges, know that they are there to help you grow. And grow you will. This week, look into the mirror and love everything that you see. Look beyond any judgment and recognize that only you can provide your special touch. Love yourself. Smile at your soul. Enjoy who you are and glow with pride. This is a special week. Enjoy it. Trust that the ball is rolling and everything is on track. Keep doing what you have been doing and add to it. Follow your dreams. Create a world of joy. Something special is on its way and you deserve it. You are also the one chosen to create what you are capable of creating. Smile and progress. Enjoy the ride. Yeehah! The deck used for this reading is Healing with the Angels by Doreen Virtue. Glenn plays many roles in life, including author, healer, lightworker, coach, reiki teacher, writer and shamanic drummer. His book Soulwork 101: A New Age Guide to Personal Transformation is a workbook that introduces concepts and initiates personal change. He also manages the facebook group 'Lightworkers of the World'. Shifting Vibration Copyright © 2019.